Our Cheesecakes come conveniently frozen and pre-cut into 14 slices. You just plate and serve, they are ready in minutes. For banquets, you could pre-plate a few hours ahead and place in a walk-in cooler. If you are interested in serving our Cheesecakes at your wedding or next function or for details on special pricing for large orders, give us a call! 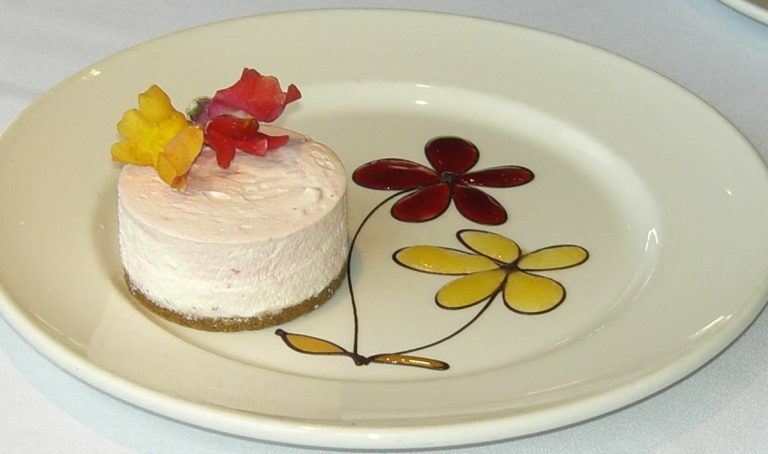 We also supply our Cheesecakes to many restaurants, hotels, and golf courses in and around Winnipeg. If you would like more information on having our product in your establishment, please contact us — we’d be more than happy to meet with you and introduce ourselves and our Cheesecake to you! Delivery is available in the Winnipeg area!